Last night we attended a neighborhood Halloween party. I stole Daisy’s costume! Best 50 bucks I ever spent. 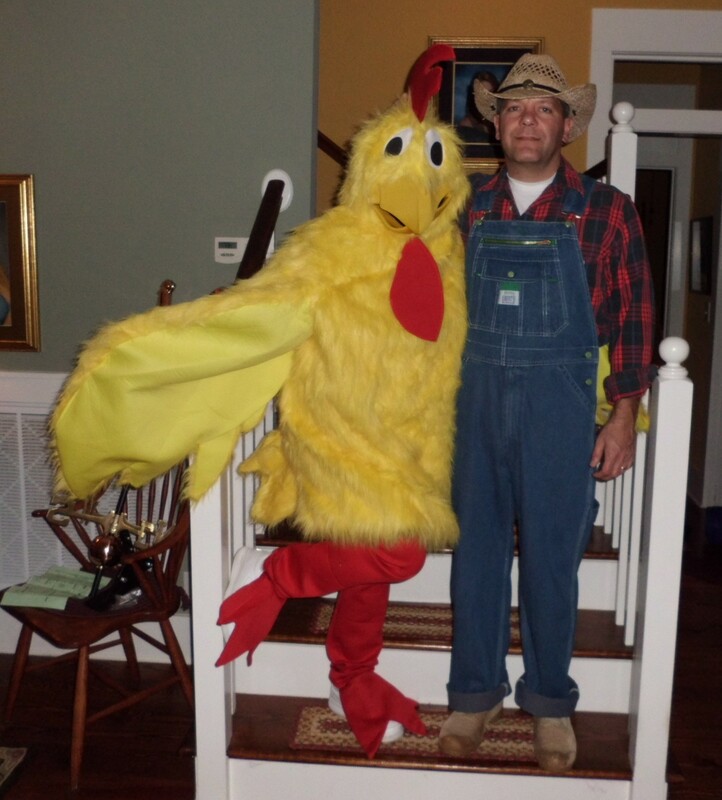 Jim makes a pretty cute chicken farmer! Love it! I have a big white rooster costume that I almost made Jeff wear this year, but instead we’re gonna be a pest control man and a giant roach! I must see a picture of that! I see the weathervane made it into the picture. Lookin’ good Farmer Jim! And can you see the “evil one’s” senior portrait in the background? Love it! What’d anti-chicken neighbor say? 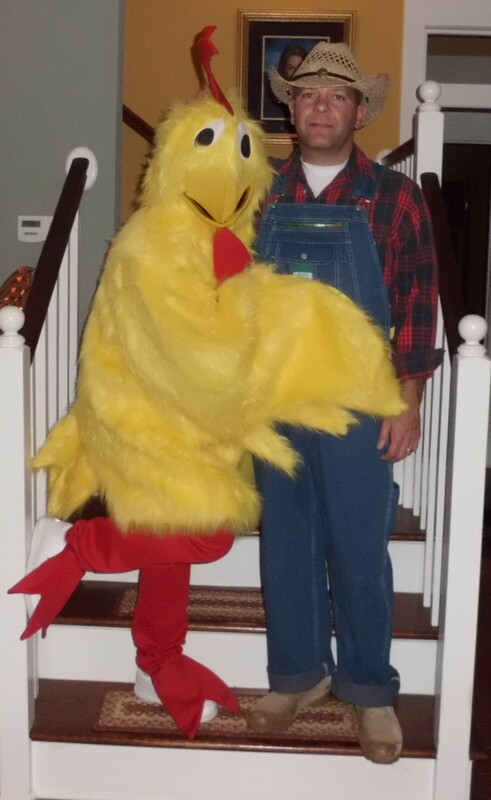 Unless he’s an avid reader of the chickendiary, (and I kinda doubt he is) he didn’t see the costume. He didn’t attend the party. It was fun, but we went home to roost early. We’re old. Thanks! Mine was itchy and hot! I wonder if that’s what Daisy feels like all the time? hope you had a GRANDCHICKEN time! We did indeed. I shook my tail feather! Did the funky chicken too! You know I got some smooth moves on the dance flo. I needed a new picture for my desktop, so thanks, this fits the bill, or beak, nicely. Your little bro sure does make a cute farmer!